Would you refinance if you didn’t need an appraisal? 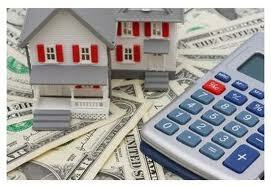 I heard an interesting idea by a congressman in California- allow people to refinance without requiring an appraisal. I am curious to know if that would entice anyone to refinance? Enter your current mortgage rate, how long you plan to live there, etc and the calculator determines how far interest rates need to fall before you should refinance again. I have a 4.5% interest rate and I was considering refinancing again to get a 4% rate. Turns out, bad move. If you have similar thoughts, I recommend checking out this calculator. Visit it at http://zwicke.nber.org/refinance/. At the projected 551,000 rate for new housing unit construction this year, it would be the lowest since at least 1945. Data in prior years are a bit sketchy, other than knowing that there was nearly zero construction during the Depression years of the 1930s. So with population at 312 million in the U.S. today and rising by 3 million each year, housing starts are on track to be lower than when the U.S. population was only half its current size, more than 50 years ago. The low construction also means that there will be a faster return to a healthier market. Inventory is thinning out. Home prices have shown stabilizing signs. Low new housing starts will mean even further dents in overall inventory and a better chance for a home price recovery ahead. This time last year, many economists were calling for another major downturn in home prices as the homebuyer tax credit went away. The fact is that home prices will be down only modestly in the low single-digits this year. The very low home construction has helped minimize the home price decline potential. Now, with housing starts so low, some investors are buying properties before a possible housing shortage develops in the upcoming years. Investors are also buying as a hedge against inflation (since gold, another hedge against inflation, appears very pricey). Both homebuilders and the banks – the providers of construction loans – will soon realize the housing market recovery potential. Therefore, housing starts will rise from 2012 on, to about 600,000 in 2012 and 800,000 in 2013. That pace will still be well below the historical average of 1.5 million housing starts that would be needed each year. In the end, I must say I have a new respect for the folks who frame homes for a living. You like apples?? Well, Businessweek just ranked Raleigh the number 1 city in America! How do you like dem apples? Based on such metrics as school performance, green space and cultural amenities, Raleigh, N.C. ranks No. 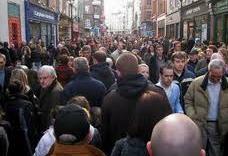 1 in Businessweek.com’s first Best Cities ranking…read full article at yahoo finance. This is a wonderful situation to tear down a home in the Five Points Area of Raleigh, NC and build new construction. The home sits on a corner lot, which sets up great for a side car garage. This home is not located in a Home Owner’s Association. New homes in Five Points sell from $400,000-700,000. You can bring your own builder or I can provide you with a list of the best builders in Raleigh and Inside the Beltline. 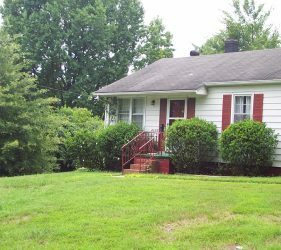 This is a great tear down opportunity in Five Points with so many options to build your dream home Inside the Beltline, Raleigh, NC. Wilson Crow is one of the top selling Realtors in Raleigh, NC. 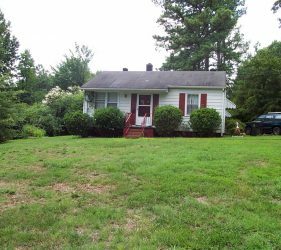 He has specialized in the “Inside the Beltline” properties as well as the greater Raleigh Area for over 10 years. 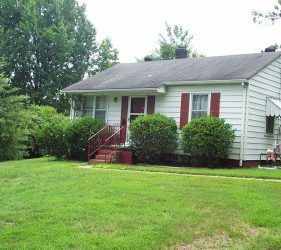 As a Five Points Realtor, Wilson shows and tracks all of the homes sold in the Five Points Neighborhood in Raleigh, NC. Feel free to email Wilson questions at wilsoncrow@remax.net or call his cell (919) 810-8665. Should you care that S&P cuts U.S. credit rating? From what I am reading, S&P’s recent downgrade of the U.S. debt from AAA to AA+ will not lead to higher interest rates…yet. Instead, it is a slap in the politicians’ face. The S&P lowered the credit rating of the U.S. government debt from AAA to AA+. This decision appears to be based more on the issues of the Democrats and Republicans being unable to agree on how they should service their debt obligations and less about the U.S. government’s ability to repay its debt. What will the S&P downgrade do to housing and the real estate market? Should we even care about this issue? This article on Forbes website provides a great explanation. View article here. 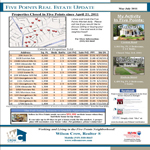 The Five Points Neighborhood Real Estate Newsletter for May-July 2011 is out. To view the newsletter and information regarding all of the homes that have sold for the Five Points neighorhood in Raleigh, NC, go to Five Points newsletters. N.C. State Coach Mark Gottfried just bought himself a little something, something…or should I say, a 6,200 sq. ft new crib! I wonder what Roy and Coach K will give him as a welcome gift?